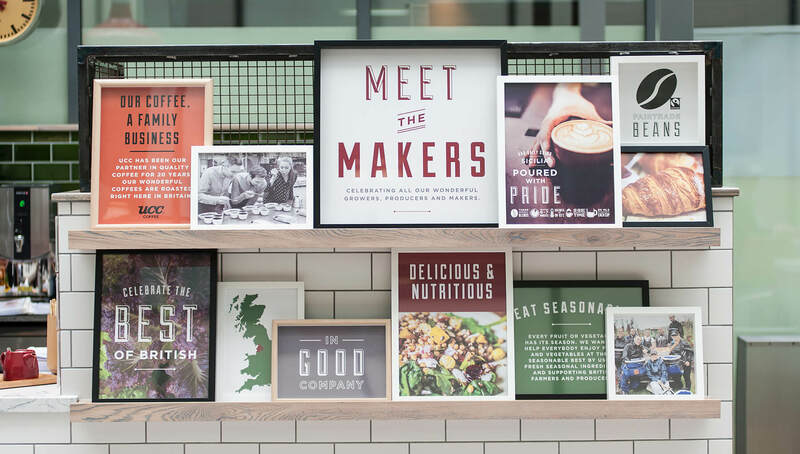 This development of the Caffe Dallucci brand was installed in the Compass offices in Chertsey to champion the brand and demonstrate this innovative new step in the Compass foodservice family. 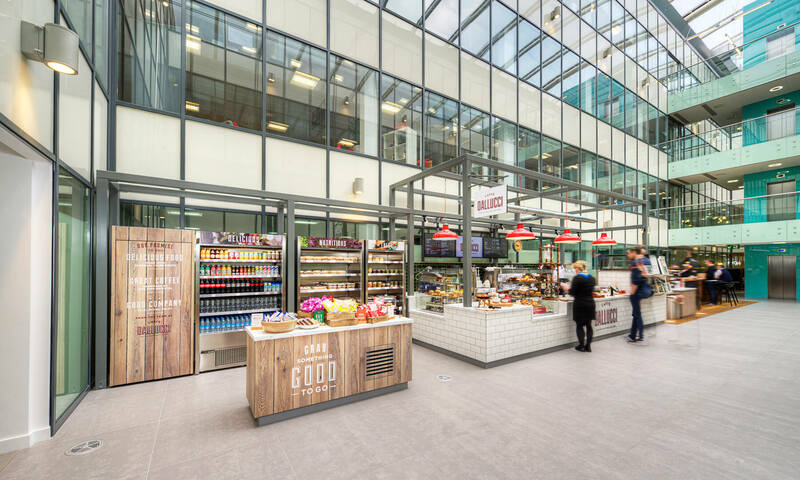 The brand’s key materials were adapted using white metro tiles applied to the counter front, large red pendants fitted to reflect the size of the space and mesh screens coupled with the ‘Meet the Makers’ wall that wraps around a column. 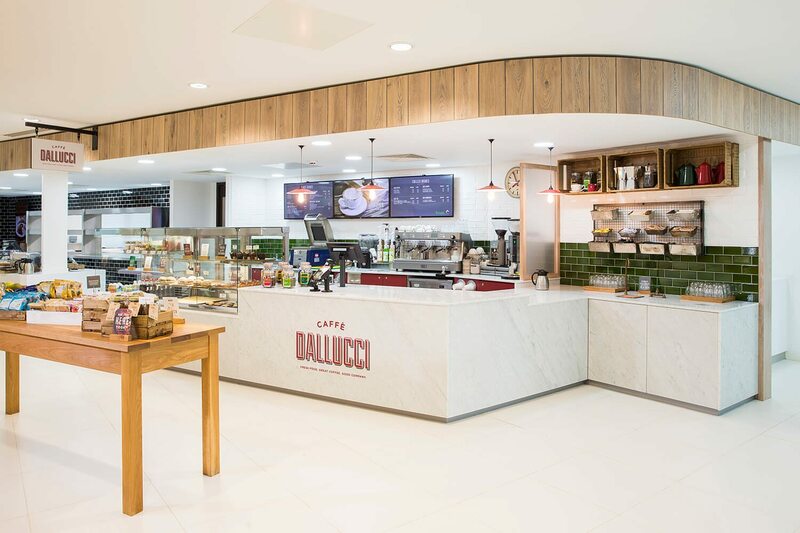 Our design and build project Compass Group UK & Ireland sees the Caffe Dallucci development for one of their corporate business clients. 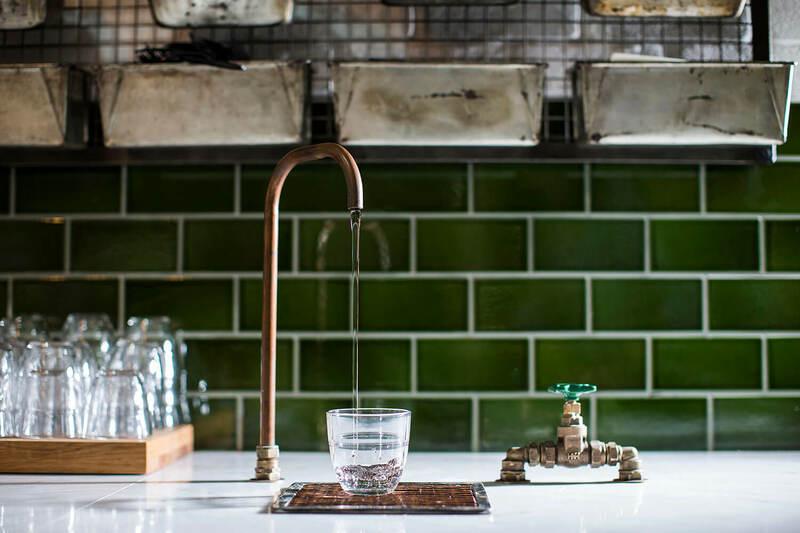 The Caffe Dallucci brand was adapted to suit the requirements of the client and its environment, without compromising on the brands core values and design features. 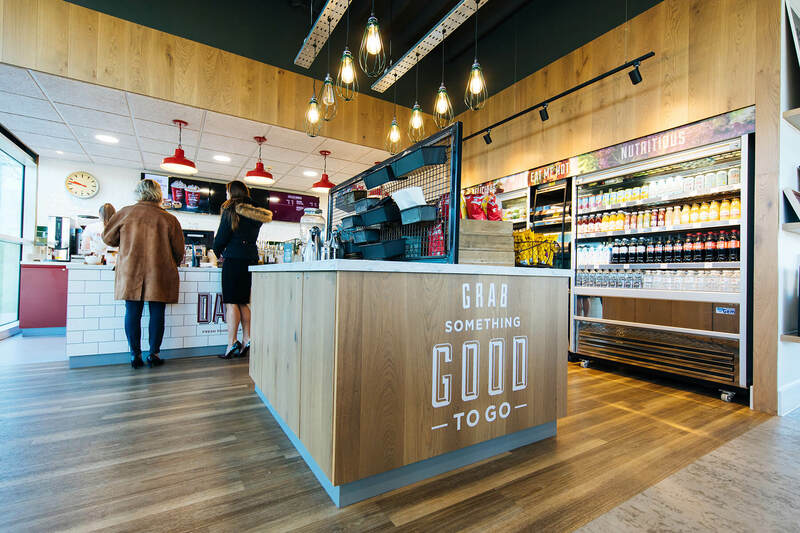 The brand’s key materials were adapted using white metro tiles applied to the counter front, large red pendants fitted to reflect the size of the space and mesh screens coupled with the ‘Meet the Makers’ wall hides a discreet wash up area, becoming a self contained face operation. 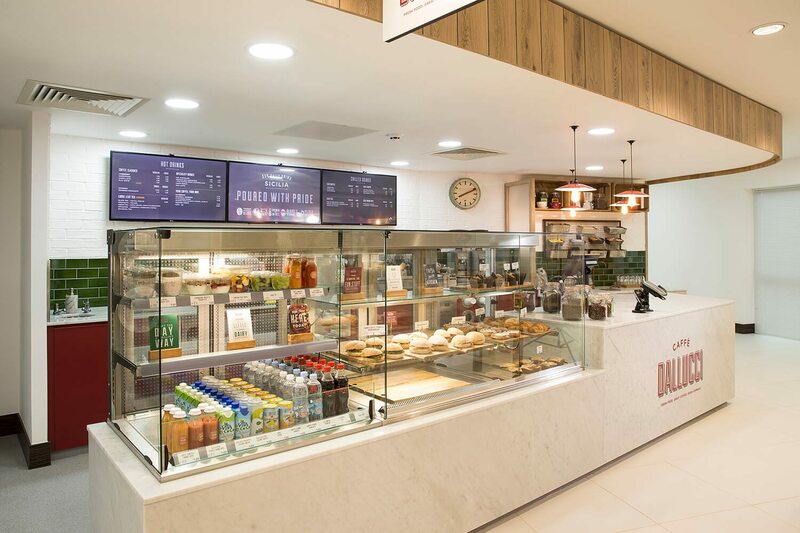 Within an impressive existing atrium space, extensive design work was carried out to construct a framework to successfully conceal all the services required to support the café counter and the brand offer, working to realise a successful and popular operational asset to the client’s building facilities. 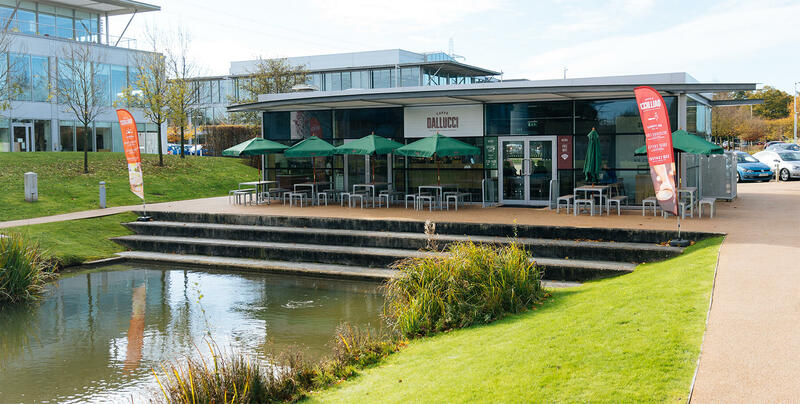 The Solent Park Caffe Dallucci is a stand-alone building situated alongside a pleasant lake setting within the business park. 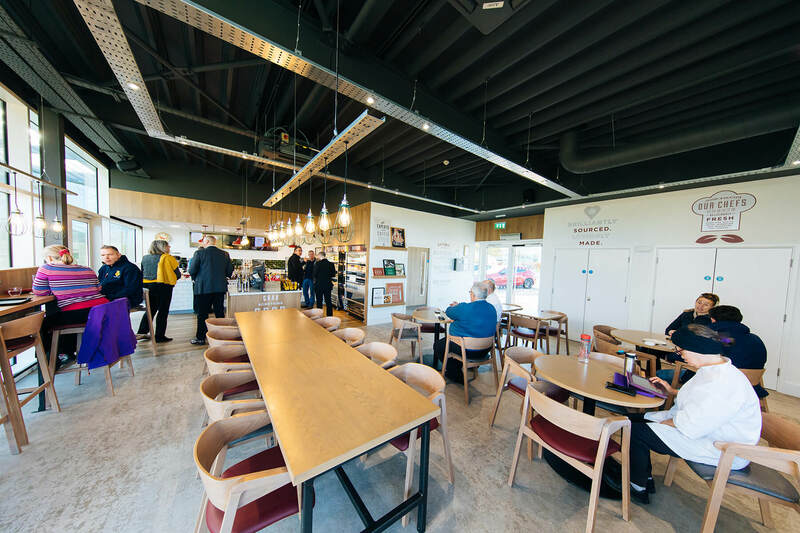 It's the perfect place for a quality bite to eat and picturesque views of the lake all around with its full-length glazing surround.  Extensive design and project management work was carried out to open up the existing café space, to take advantage of the views, to improve the customer flow and to make the space more inviting.